The ruggedness of 8.5-oz. cotton duck... with sanded finish making them not stiff for "the working stiff!" Plus effective poly-fill insulation for sure warmth. You really can't go wrong. 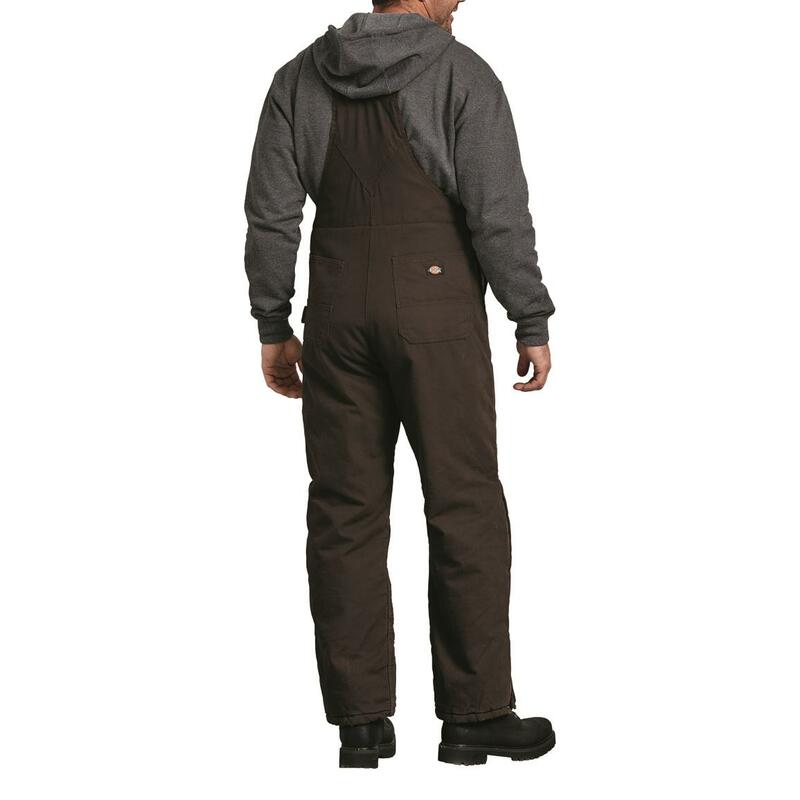 Dickies Sanded Duck Insulated Work Bib-Alls is rated 4.6 out of 5 by 83. Rated 5 out of 5 by YosemiteSam from Great Product Great product, form, fit and function. Will buy again if the ever wears out. I have one of the duck jackets and it has to be 15 years old and still going strong.. Rated 5 out of 5 by ghostmo7 from great bibs got them for chilly weather walks with my dog.they are perfect. good quality, fit great,warm and very comfortable. 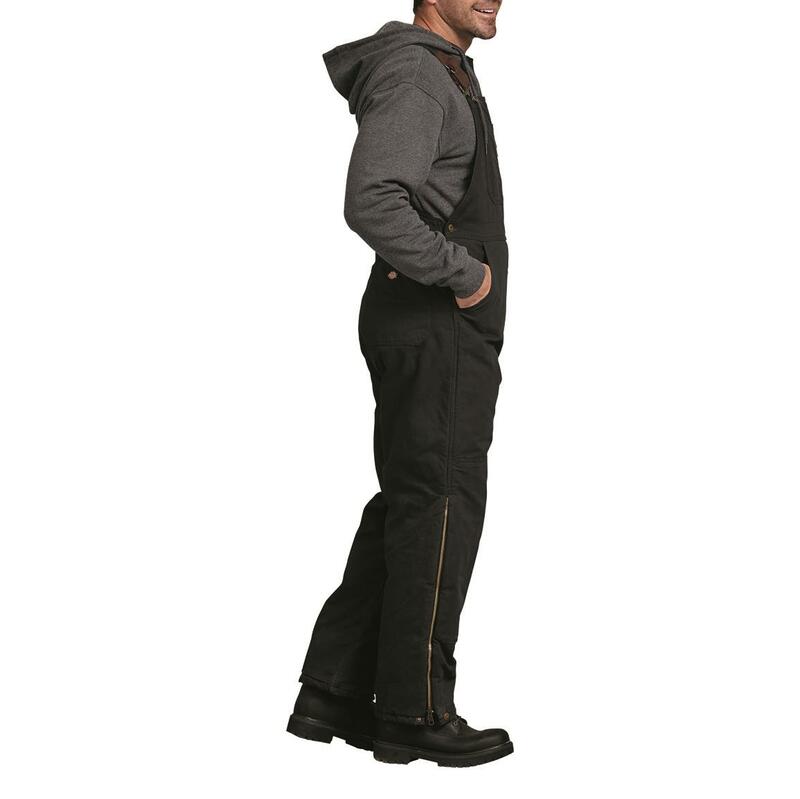 Rated 5 out of 5 by TLLOGISTICS from Dickies work gear is excellent ! 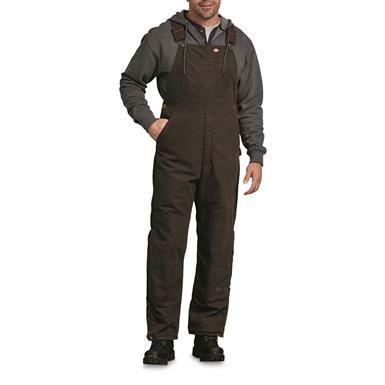 Dickies Sanded Duck Insulated Bib Overalls are top of the line quality. 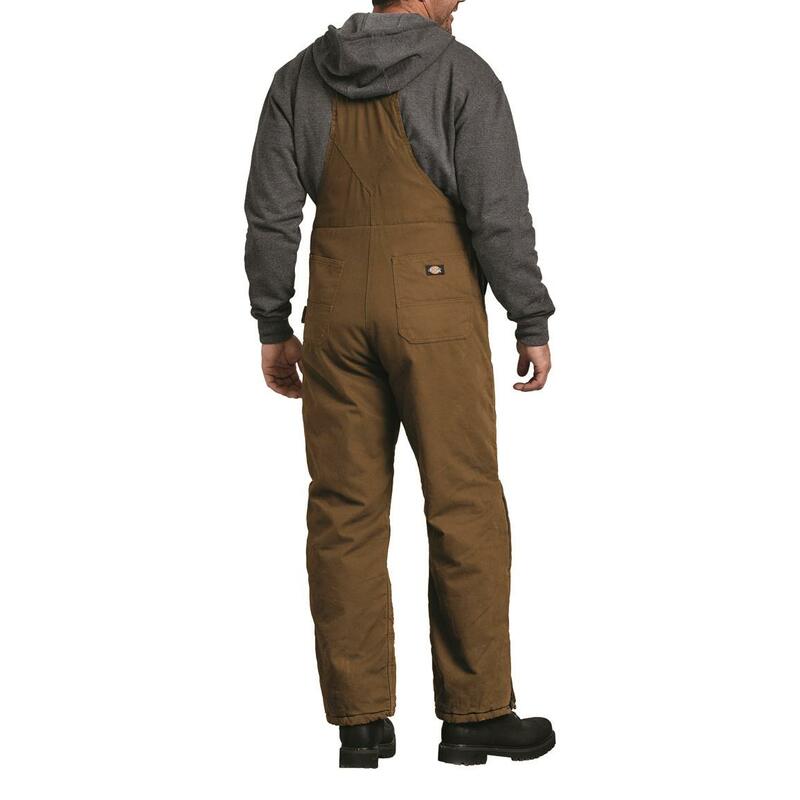 They are rugged, warm and the fit is perfect. I’m a 36W/29L so I ordered the large overalls with small or short length. Perfect. I’m always pleased with Dickies. Rated 5 out of 5 by Cougardale from Top of the line quality at a great price. Just bought these and already wore them twice for January work digging around my septic and was very warm in 38 degree weather. I'm 5'9" and weigh 200. got the XL Short and they fit perfect. Very comfortable. Rated 5 out of 5 by punkinna from he loves his overalls I bought them as a gift. They are super warm and comfortable. Would recommend them to everyone. Rated 5 out of 5 by Carolyn B from Great coveralls! I bought these for my son for Christmas. He loves them. Says they’re warm and comfortable to work in! I’ likely get them for hubby too! Rated 5 out of 5 by Yollie from Overalls I buy this everyyear and love it everymoment i wear it. Runs Bigaria-label="A rating of 1 means too small, a rating of 5 means too big, a rating of 3 means true to size. This items average rating is 3.2. Runs Bigaria-label="A rating of 1 means too small, a rating of 5 means too big, a rating of 3 means true to size. This items average rating is 3.3.